Football is a cut throat business. Its a business that requires tough decisions, which need to be made without emotion, and many of those decisions will turn out to be poor decisions. Variance dictates that. For every Reggie White signing and Brett Favre trade, there is a Joe Johnson signing and Jamal Reynolds draft pick. 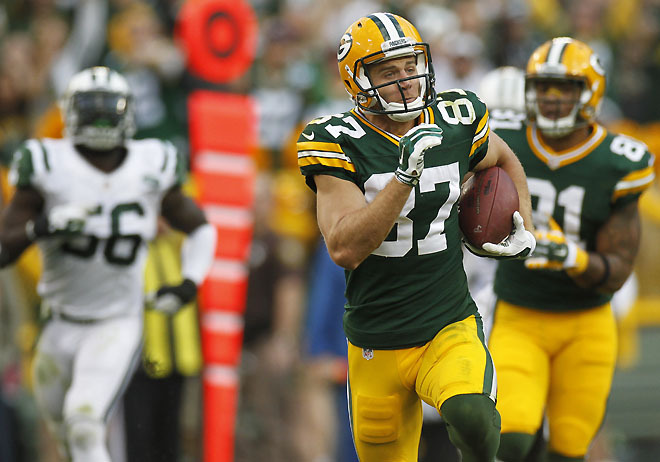 Jordy Nelson was caught on that tough side of the business recently when he was cut on the eve of Free Agency, with one year left on his deal . He quickly found work when signed a two year $15 million contract with the Oakland Raiders a few days later. The Packers offered him to stay, but that was with a steep pay cut, that was near the league minimum according to Jason Wilde. This week Nelson recently on the whole situation in an interview on the Wilde and Tausch show. Nelson’s comments were honest and professional. He acknowledged that he was hurt, that he wanted to be part of the team, but the feeling was not reciprocated by the Packers. Packers nation and pundits however seems to be more upset than Jordy by the way the situation was handled. There was initial outrage, from fans that just didn’t want to see him go. 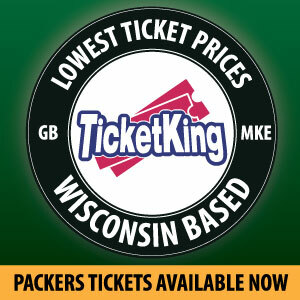 After some details came out Michelle Bruton of Fanside, wrote and article detailed how the Packers handled it poorly. And then after Nelson’s recent comments the always outspoken Jermichael Finley had a profanity laced tweet stating that the Packers did Nelson wrong. And Cory Jennerjohn at Cheesheadtv gives his take on things, arguing it was not best for the team. All of these statements and articles are hyperbolic. It is important for any organization to handle things respectfully and with class. But the Packers did that. Gutekunst called a press conference to address the situation and released Nelson on the eve of free agency which gave him the opportunity to market his services to every team in the NFL. Adding fuel to the file is his popularity. Nelson embodied what it meant to be a Packer. He was popular for a reason. He played hard, showed respected, never made it about himself and him embraced the Green Bay area and the lifestyle that is rural Wisconsin. My 12 year old niece cried when she got the news. One can argue the Packers should have kept Nelson. You could say that they should have kept him over Cobb, or kept him instead of signing Jimmy Graham. But those are just arguments. And they are arguments that don’t have the entire body of evidence. Any roster move can’t be analyzed in a vacuum. Its just one move. I am sure analysts could have questioned many of Bobby Fischer’s single moves on a chess board, but it all depended upon what the next move was. Or the next several moves. The same applies to an NFL offseason. It’s clear Gutekunst has a vision. It takes guts to cut the second most popular player on the team. One only does that if they are confident and has a clear direction as to the team. Nelson had clearly slowed, and was essentially a move tight end in a wide receiver’s body. Jimmy Graham can provide that while presenting actual matchup problems. Cobb is younger and provides something different, as your traditional quick slot guy. And when Nelson was out for most of the Giants game in the playoffs and the Cowboys game, Rodgers and the offense exceled. He showed trust in others and looked for who the read told him to, not just automatically going looking for Nelson. Gutekunst has been active in free agency, he continues to be active and this teams looks to have the biggest roster overhaul in some time. Another General Manger, may have had a vision that included Nelson. And that is fine. But Nelson has moved on and so should you. Its just business. This entry was posted in Packers 2018-2019 Season and tagged Brian Gutekunst, Jordy Nelson, Packers offseason. Bookmark the permalink.